Save time: If you need to save time, Panel built has modular building systems for sale that can ship in as fast as two days. These prefabricated office structures provide a simple, no frills fix to make better use of your current floor space. When you order a modular building you can customize your structure so you get what you need, when you need it. Because most of the building is already prebuilt the time between conceptualization and the finished project is much shorter than traditional construction. Additionally construction of your new modular building will not be impacted by weather and other environmental issues because it is built offsite. Low impact: When you are working in an industrial environment extra dust can cause major setbacks in production and productivity. Industrial modular buildings significantly reduce the impact on your work environment. Most of the construction for your new office space takes place off site, so you only need to worry about installing your new area. 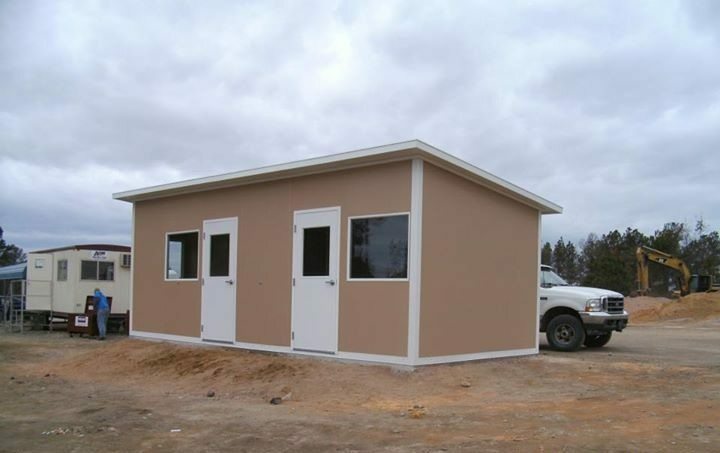 Durability: Metal modular buildings are durable and easy to maintain. These metal structures are ideal for industrial environments because they hold up and they are easy to maintain. Your metal modular building does not require painting or regular upkeep associated with wood based structures. Affordability: Modular buildings for sale are cost efficient. Because you spend less time disrupting your work environment and because Panel Built offers fair prices for their structures, you save money. Add on little to no maintenance and upkeep and you save time and even more money. Flexibility: Your modular buildings are easily customizable. The structures are designed in small, connectable pods. This makes it very easy to rearrange the layout and customize the type of modular building you need. Panel Built modular building panels include many optional upgrades and special features to make sure your business keeps running smoothly. Extra space: You can build extra space into space you already have. Panel Built features two-story structures that allow you to literally double your working space. These two-floor units fit into area you already have available but provides additional working space in otherwise wasted area by building up. A modular building is an ideal choice for industrial companies who don’t have time, space or money to build an entirely new structure. These simple to install structures are a great solution when you want to make a change quickly. 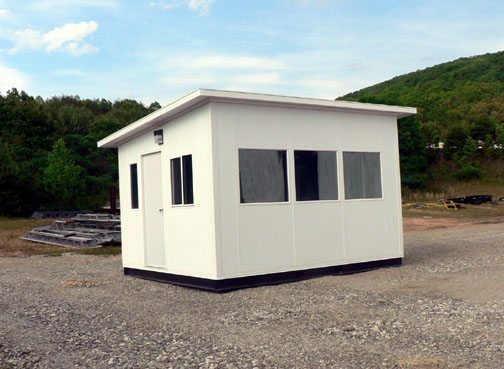 Whether you need to add a modular office space to your current building or create an extra workspace on a construction site, modular buildings are a simple, fast solution. In addition to providing workspace safe from rain and snow, Panel Built buildings can be fitting with heating and cooling systems. Additionally our modular buildings come standard with electric capabilities so you can utilize the workspace day or night. Color: You can choose from white, grey and Champagne modular buildings. Keep your work area in line with the rest of your site by choosing the right color to match. HVAC: You can choose from three different heating and cooling levels ranging from 9,300 BTU Cooling to 18,000 BTU Cooling. Panels: You can customize the inside of your new modular building for a professional, comfortable working space. You can choose from most materials including fiber glass, paneling, hardboard and steel. Additionally, you can opt to have your new working area soundproofed and opt to include fireproofing. The prefabricated office spaces ship within two days. These units come standard with 8 or 10 feet walls, matching doors and trim, doors, clear tempered glass windows and a drop ceiling. If you are looking for a unique way to add to your current workspace or to simply create a separate working area, Panel Built modular units are a great solution that will save you time and money. For more information visit our website.